The defense team of Armenia’s second president Robert Kocharyan has got familiarized with 40% of the 76 volumes of March 1 criminal case, attorney Hayk Alumyan told Aysor.am. The Special Investigation Service has given 50 days to the sides to get familiarized with the 76-volume long materials of the criminal case. The date expires in 15 days. The defense side complained of the provided minimal time and even disputed it but their appeal was not upheld. “If a person puts all his work aside and starts reading a book, just reading, will he complete it in one day? While we even were not provided time to handle one volume in one day. They gave us 50 calendar days for 76 volumes. They have limited our rights,” Alumyan said. As to what conclusions the attorneys came from the materials studied till now, Alumyan said they have found things which will allow them to use additional and rather weighty arguments. The attorney mentioned the testimony of Arshak Karapetyan which differs and agreed it with “testimony for post” principle. 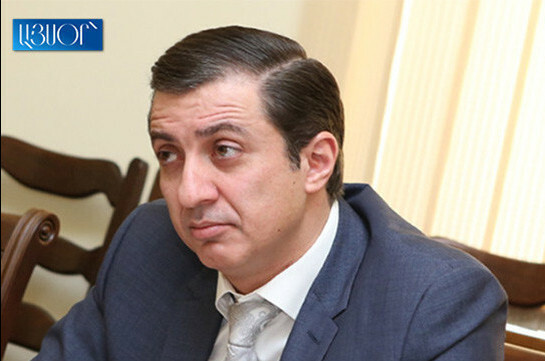 Arshak Karapetyan was head of intelligence department of the Chief Staff of Armenia’s Armed Forces who was sacked after the intelligence failure at April 2016 war. In December he was appointed Armenia’s PM Nikol Pashinyan’s consultant. “We view the testimonies. All have confirmed everything we said in time except for one person, who you know, and who agreed to the deal – testimony for post. Except this one, the other ones repeat all we have been claiming for months. It was a novelty for us. We also made some clarifications over March 1 morning,” Alumyan said. The attorney said that their claims have been backed by the participants of the February 23, 2008 consultation. 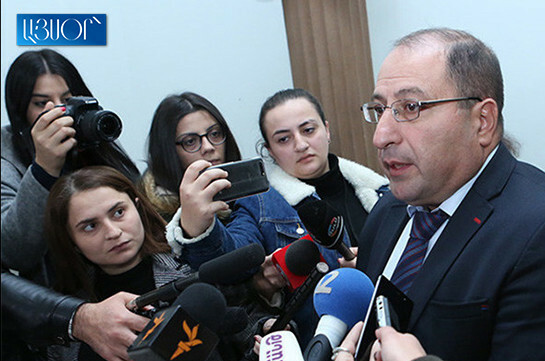 The attorney shrugged off the claims that the generals of that period gave testimonies against Kocharyan, adding that the only testimony against him was given by Arshak Karapetyan. “By the way, they only try to use one extract of Karapetyan’s testimony as if Kocharyan said 'from tomorrow emergency situation would be declared.' But if Kocharyan said so, you understand probably that he was not going to do it the next day immediately. In all other regards this testimony could not be used against Mr Kocharyan. Besides, all say that such thing did not happen,” Alumyan said.